With summertime in full swing and temperatures in the 80s, everyone is flocking to the nearest pool they can find. Whether you go to lay out and work on your tan or to take a dip in the pool, there's only one thing that can turn your average pool outing into the perfect afternoon...a drink. 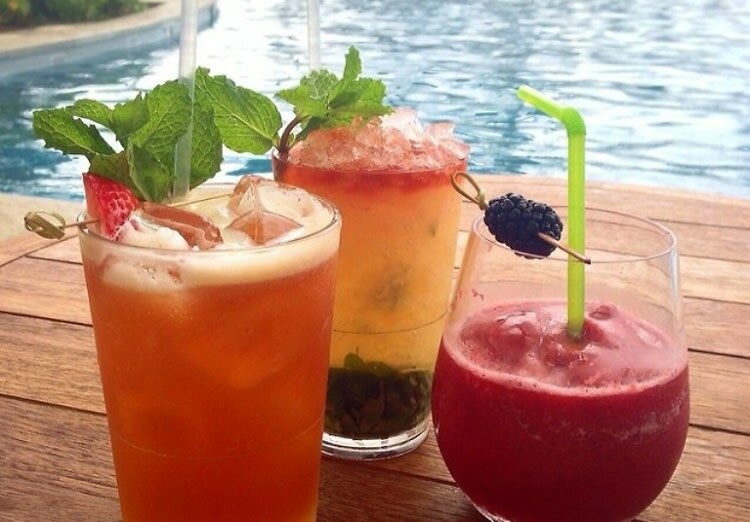 Now you can't just have any old cocktail as you sit out and enjoy the warm summer weather, so we've put together a list of cocktails specifically crafted to be enjoyed with your legs in the water and the sun on your back! Enjoy the taste of summer in every sip.